With the use of modern technological means, this internet portal constitutes the first integrated effort in Europe for informing the public and raising the awareness of State agencies and bodies concerning the issue of chronic pain. patients suffering from subacute and chronic pain and spine conditions, so that they take the right steps to resolve their problem and continue their struggle against pain with optimism and self-confidence. We believe that providing high quality education to the public will substantially help patients find the specialist physician according to the case, cooperate better with their therapist physician and, therefore, render therapies much more effective, all this with no commercial bias at all. Written testimonies and interviews of patients with chronic pain are projected in a video form, with the aim of inspiring other people suffering from chronic pain to assert their right for a better quality of life. By listening to the portal patient community, individuals suffering from chronic pain and their relatives have the potential to get out of their loneliness and isolation and communicate one with another by exchanging experiences and viewpoints concerning issues of chronic pain and their treatment. Interviews and articles by expert scientists of the field will be informing the public about the latest developments in chronic pain and pain therapies. People of Art and Culture will express their own opinion about pain, the “most remorseless tyrant of humanity”, in an effort to trace out a national strategy against it. A site for Health Professionals who, enrolling for free and simply acquiring a password, can have access to articles, interesting case reports, videos of invasive techniques and surgical operations, educational videos, fluoroscopic images of interventional applications, description of basic peripheral nerve block techniques accompanied with analytical pictures and the latest news/ announcements. All information included is original of no commercial bias, coming from reliable specialised sources from the internet and international literature. 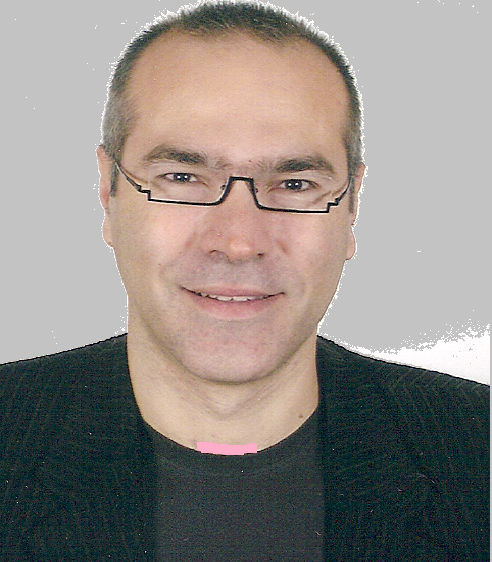 Scientific Head of the website e-algos.com is Papadopoulos Dimitris, Pain Physician – Anaesthesiologist, Interventional Pain Treatment Specialist, Member of the World Institute of Pain, Fellow of Interventional Pain Practice – that is the superior accreditation title in pain treatment worldwide. The content of e-algos.com has been written exclusively and only for the portal visitors and will be continuously updated and expanded with the sole purpose of providing the latest valid data and educating the public on issues of chronic pain and its therapeutic modalities. The portal e-algos.com is neither owned not directed by medical-pharmaceutical companies and its sole purpose is to educate the public and raise their awareness by providing, via internet, immediate thorough unbiased information. No article is written by or influenced by any pharmaceutical or medical technology equipment company. All advertising and sponsorship are clearly recognisable with their trademark only and not as part of the editorial content. The core philosophy of e-algos.com is to provide high quality, unbiased, reliable education to the public on issues concerning chronic pain. This priceless service is provided to the public, free of charge. By using the browser of e-algos.com, patients have the potential to seek for specialised help provided by physicians and other health professionals that are registered in the portal inventory, according to their specialty and geographical location. The section addressed to Health Professionals, has been created in order to provide stimulation, contemporary updated data and some degree of education on invasive pain techniques with the use of audiovisual means and written texts. This service is also free of charge, simply by enrolling and getting a username and password. Health Professionals (physicians, physiotherapists, chiropractors, psychologists etc) support this portal and its rationale by submitting an annual membership fee and registering in the classified internet inventory. Medical centres (clinics, rehabilitation centres, psychiatric clinics etc) support e-algos.com by registering in the internet inventory of medical centres . Advertised companies and sponsoring companies or organisations appear in the website by submitting some fee. The portal of e-algos.com is in collaboration with Google.gr by participating in the program Google’s Ad Sense.